Detection of metal impurities and objects. Protection of technological equipment and maintenance of product quality, protection of the end user. 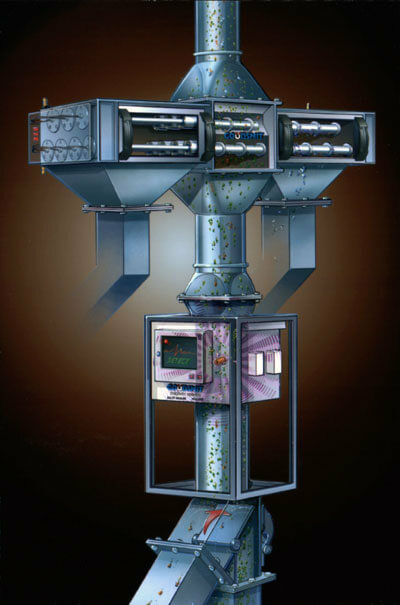 Undesirable metal particles and objects may enter into processed material and subsequently lower the quality of the final product and increase the risk of damaging of expensive machinery used processing lines such as crushers, mills or granulators. Detection, diversion or removal of these particles can be resolved by installing a metal detector. Based on the type of transport mode, we can propose a suitable solution using the appropriate detector type for your needs. 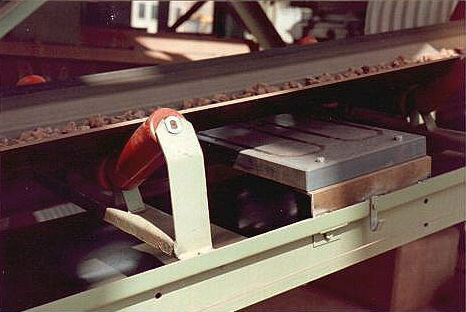 A detector with a probe in the form of a frame or plate is suitable for conveyor belts. An analogue detector with lower sensitivity will find use for instance in quarries, limeworks, sand quarries, cement plants, in recycling of construction materials, processing slag, in brickyards, coal power plants, in stone- and earth-processing industry and other facilities where technological lines need to be protected against damage from larger pieces of metal and where digital equipment is not a suitable solution. On the other hand, more sensitive detectors fitted with microprocessors can be used for food-processing, chemical and pharmaceutical plants where they monitor the purity of materials. Pipeline transport uses tubular detectors in variants for either gravitational or pneumatic transport. 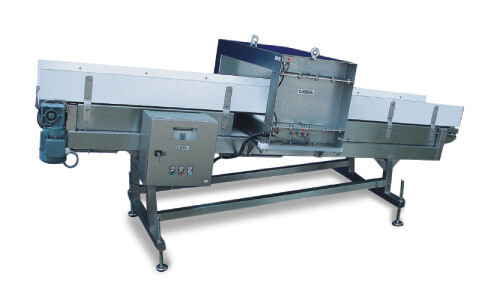 Metal detectors can be delivered separately or in combination with various separation systems. Unlike magnets, detectors do not react only to ferrous metals but also to non-ferrous metals and stainless steel. The minimum size of a detectable particle is dependent on the size of the detector probe used (size of the transport route). In order to reduce the frequency of detections and thus reduce operational losses (in either time or material), detectors are preceded by magnets to remove magnetic metals. The detector is then triggered only by remaining non-ferrous or stainless particles. We will gladly help you set up and subsequently check the set-up of your detector. Take a look at what special applications we managed to implement for our customers. 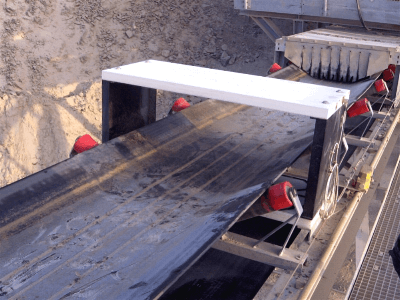 Combination of metal detector and electromagnetic separator protects coal crushers and prevents breakdowns. Have questions? Ask our experts. We would be happy to help. All rights reserved © WAMAG, spol. s r.o. It seems your browser is out of date. It is possible that pages will display incorrectly. Please update your browser or read more here.